Forces for good and evil battle and race to possess a priceless, and deadly, archaeological artifact. 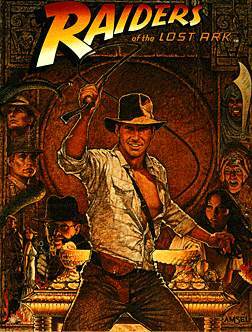 Director Steven Spielberg's "Raiders of the Lost Ark" is a delightful action adventure comedy. Spielberg received a nomination for best directing. The cast includes Harrison Ford, Karen Allen, Denholm Elliot, John Rhys-Davies, Ronald Lacey, Paul Freeman. The heroes of Saturday-matinee serials past are back! #60 on the AFI Top 100.